While attempting to cover the manhunt and security clampdown in northern Arakan State, independent journalists have faced movement restrictions imposed unilaterally by the Burma Army, following attacks by purported Islamic militants on border guard posts on Oct. 9. With most of the estimated 250 attackers still on the run, the situation on the ground as the police and Burma Army conduct joint operations in the Muslim-majority villages of Maungdaw Township has been difficult to assess, given continued blocks on media access—justified on the grounds of safety—which were seen not to apply to local civilians. On Monday, reporters and photographers from The Irrawaddy, Myanmar Times, 7 Day Daily, The Voice, Democratic Voice of Burma, Kumudra and Narinjara were stopped from traveling further north of the Kyikanpyin Border Guard Police headquarters on to the site of current security operations. 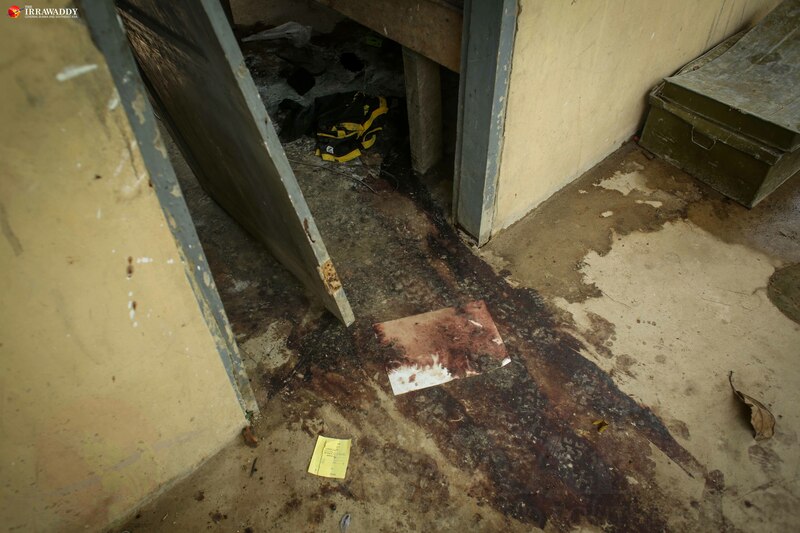 The journalists traveled to Kyikanpyin—where five police officers were killed and 51 firearms seized on Oct. 9—with Border Guard Police officers, and were permitted to spend 20 minutes documenting the scene, with the broken doorways and dried pools of blood. They were discovered by Burma Army soldiers, who were surprised to see members of the media present. As the journalists were about to leave, an army officer demanded that they stay until he conferred with a senior officer. He then ordered the journalists to delete their photographs, which they refused to do, before driving off. The journalists, attempting to drive further north, were stopped at a nearby army checkpoint. The captain present also ordered that they delete any photographs taken so far; again they refused. The journalists were not allowed to pass, for their own “safety,” in line with higher-level army orders issued on Sunday. “Fighting could break out at any time,” said the captain, who refused to give his name or that of his senior officer. The journalists protested that they had received the permission of the Home Ministry to travel to areas subject to security operations, and the argument lasted over two hours. The captain tried to take down their names, but the journalists refused to give them. Meanwhile, locals were seen traveling freely past the checkpoint. The journalists turned back. These restrictions were a new development: a reporter and photographer from 7 Day Daily, and a photographer from The Voice, were able to access villages further north in Maungdaw Township on Friday of last week, Oct. 14, where, that evening, they saw the smoldering ruins of some 20 burned-down houses in Wonbait village along the highway, as well as smoke rising from two other nearby villages, the Voice photographer told The Irrawaddy. There are sharply conflicting reports over who was responsible for burning the houses. A Muslim community leader in Maungdaw town, Hla Maung, provided The Irrawaddy with what he claimed were lists of houses burned down by the Burma Army in Muslim villages, where the majority self-identity as Rohingya. He claimed that markets and mosques had also been burned down, and that Rohingya civilians had been killed. President’s Office spokesman U Zaw Htay firmly denied that the Burma Army was burning down houses. Rather, he claimed that the Ministry of Information had photographs—which have not been seen by The Irrawaddy—showing Burma Army soldiers putting out fires in villages that were started by others. U Zaw Htay said that doctored photos purporting to show Burma Army soldiers setting fire to houses were being circulated on social media, and should be dismissed as fake. 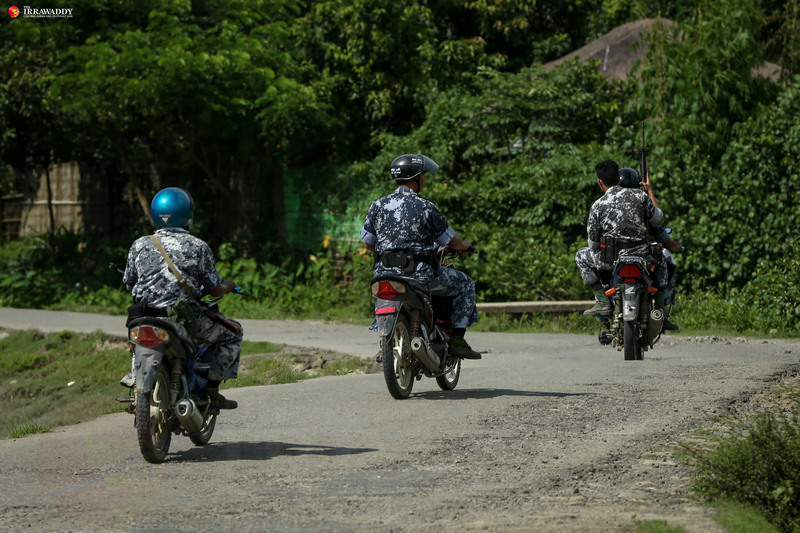 Continued restrictions to media access in northern Arakan State, such as experienced by The Irrawaddy, made it difficult to independently verify these competing claims. Meanwhile, Buddhist Arakanese civilians continue to flee rural areas of Maungdaw Township, finding shelter in Maungdaw town, in neighboring Buthidaung Township, and in the state capital Sittwe further south. The government has been providing food relief, and facilitating some evacuations. 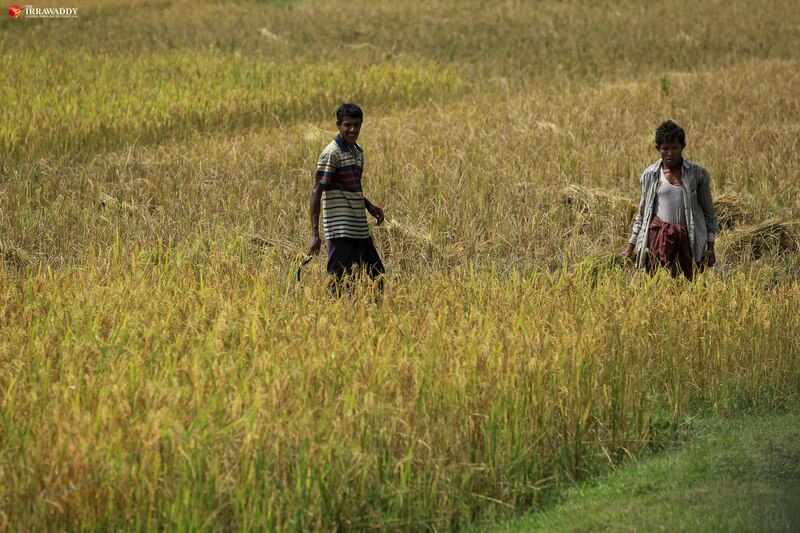 This aid has not been extended to Muslim Rohingya, who form some 90 percent of the population in Maungdaw and Buthidaung townships, and according to Hla Maung, have reportedly also been fleeing their homes. Muslims from rural areas have been restricted from entering Maungdaw town, where fleeing Buddhist Arakanese have found shelter in Buddhist monasteries. Muslim community leader Hla Maung told The Irrawaddy that Rohingya communities were hiding in jungle areas, fearful of being caught up in the security operations.